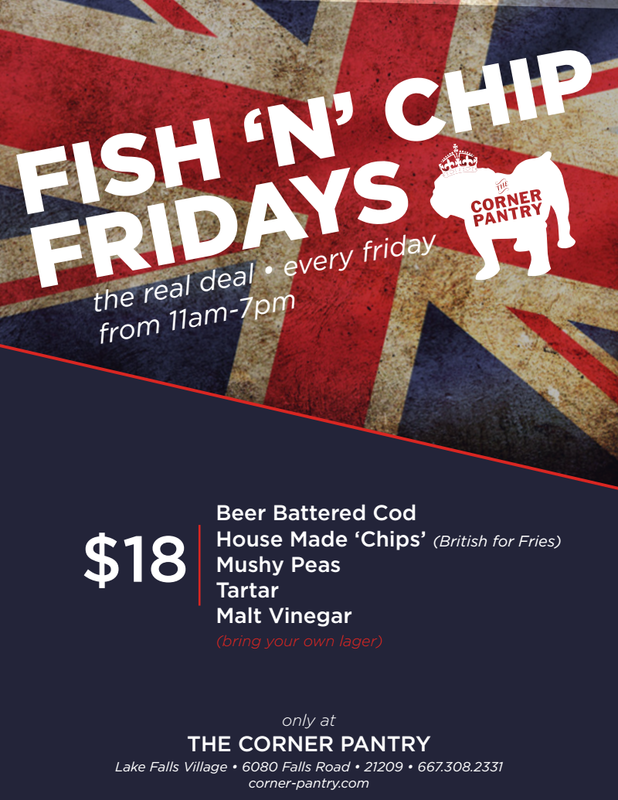 Visit The Corner Pantry (6080 Falls Road) on Fridays for real British fish and chips! Chef Neill Howell will be serving up beer-battered cod, house-made chips, and the traditional side of mushy peas, accompanied by tartar sauce and malt vinegar, every Friday from 11am - 7pm. It will even be served on newspaper, as they do in the UK.